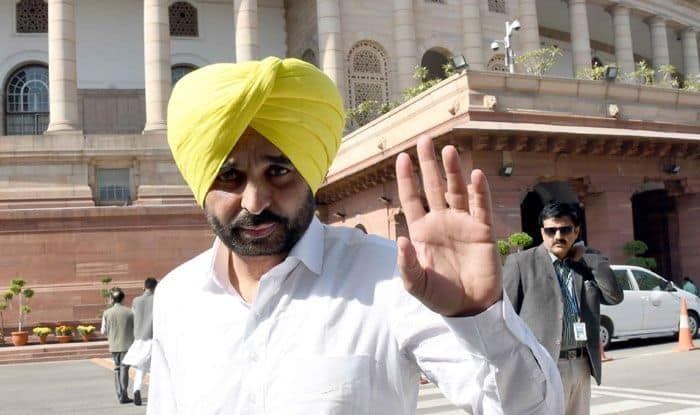 In the 2014 Lok Sabha polls, Mann had won the Sangrur seat with a record margin by defeating SAD candidate Sukhdev Singh Dhindsa. Punjab AAP chief and Sangrur MP Bhagwant Mann has sought financial support from people for campaigning ahead of the general election. Mann, who is seeking re-election from the constituency, uploaded a video on his Facebook page asking for financial aid to encourage people with “clean image” in politics. “For campaigning (in Lok Sabha polls), money is needed and I am requesting you to give ‘Dasvandh’ (one-tenth of income) so we can encourage people with clean image. If people with clean image get defeated in politics because of shortage of funds, they will be hurt and in future, such people will not come forward,” the comedian-turned-politician said. Mann asserted that the funds received would be accounted for. “You may send money in any denomination–Rs 1, 5, 10, 20, 50, 100, 500. The funds, we receive, will be accounted for. When I get the required amount of funds, I will tell you that I now do not require more funds,” he said. He said the AAP was committed to the welfare of people and it was not here to make money. On spending MPLAD funds, Mann claimed that he spent the whole funds in his constituency on development work.